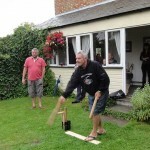 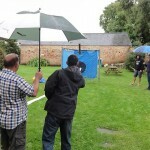 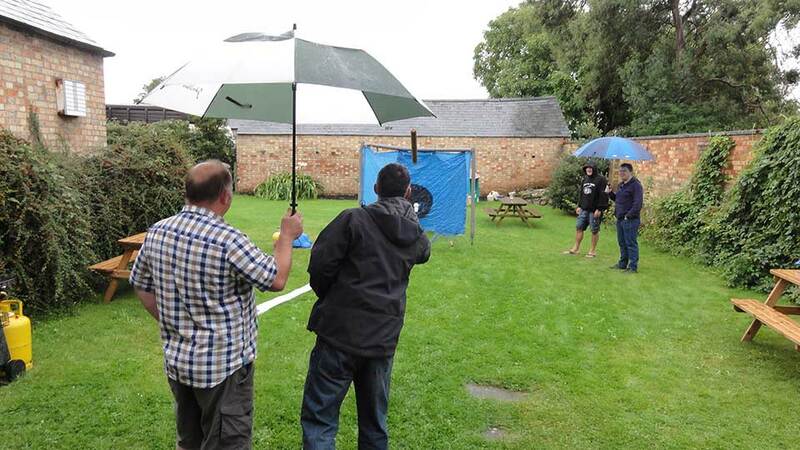 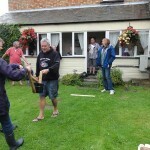 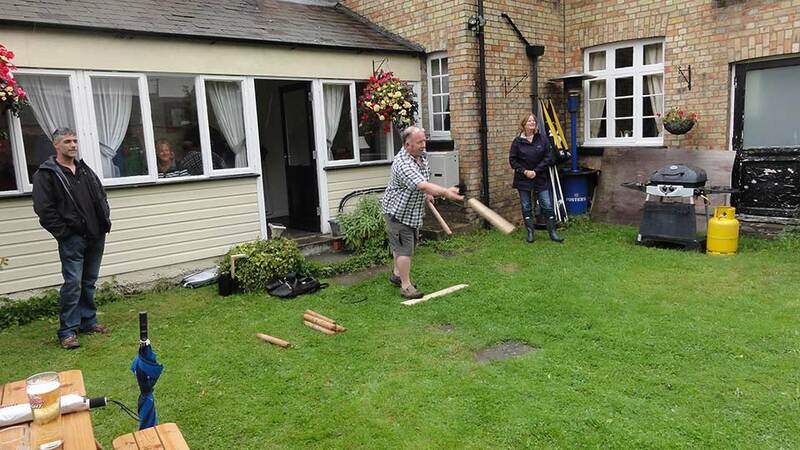 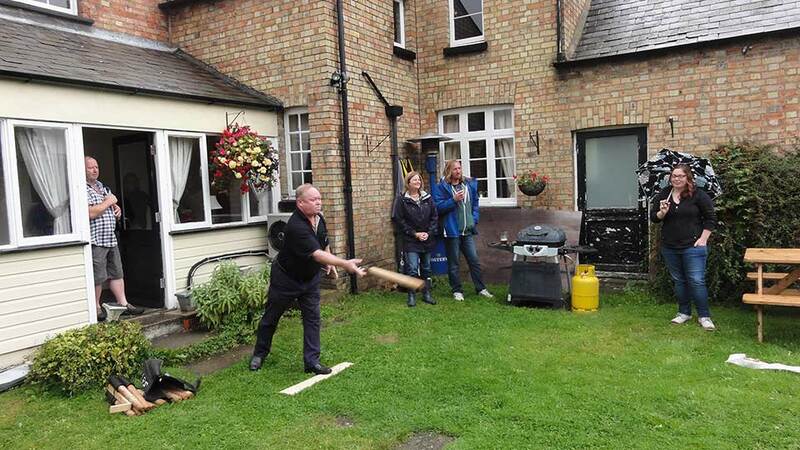 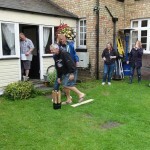 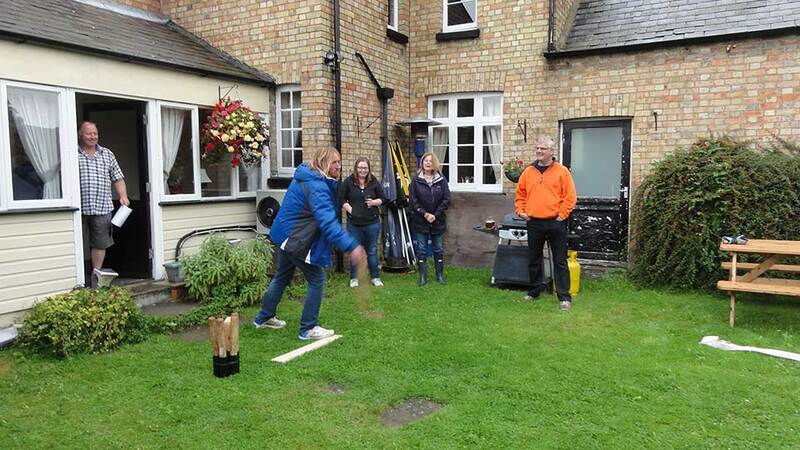 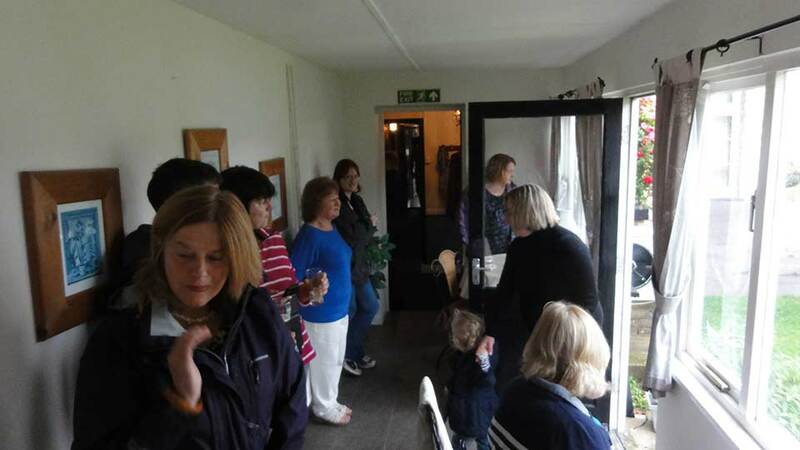 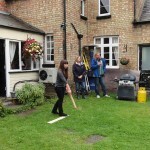 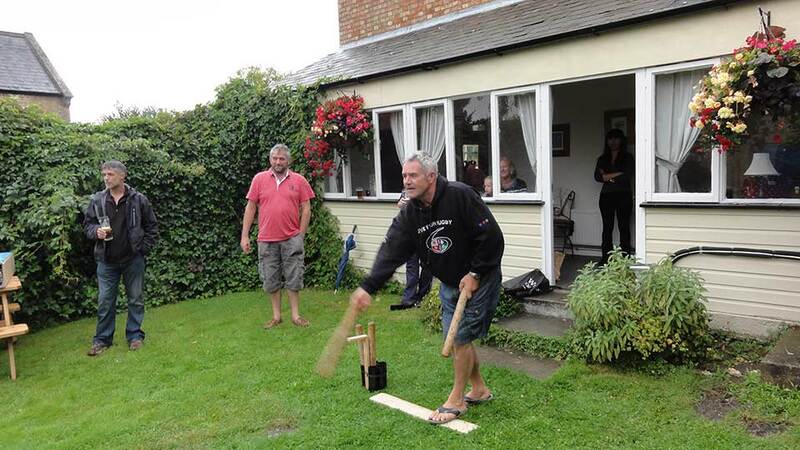 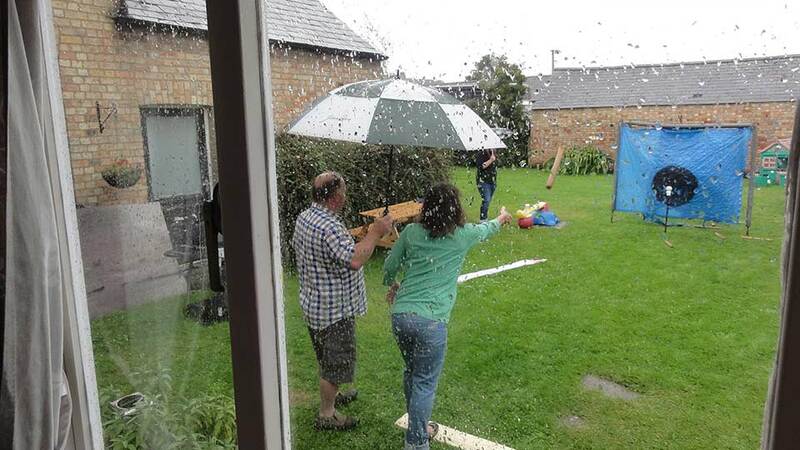 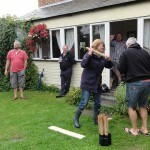 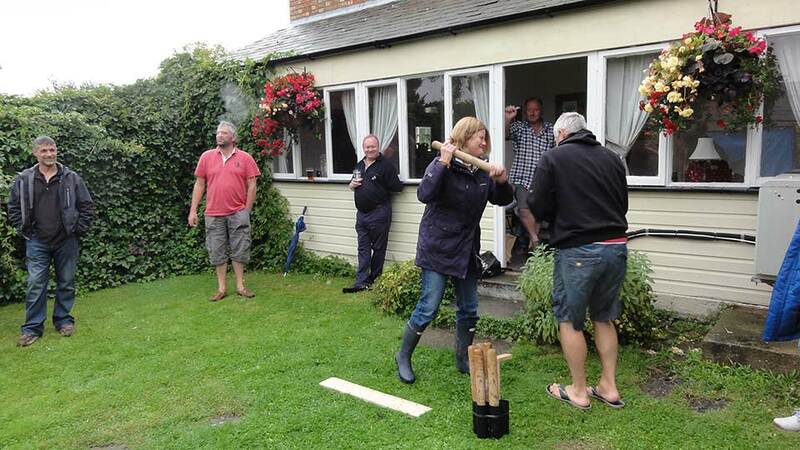 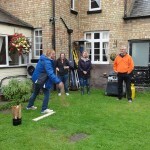 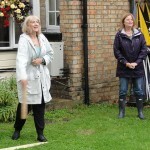 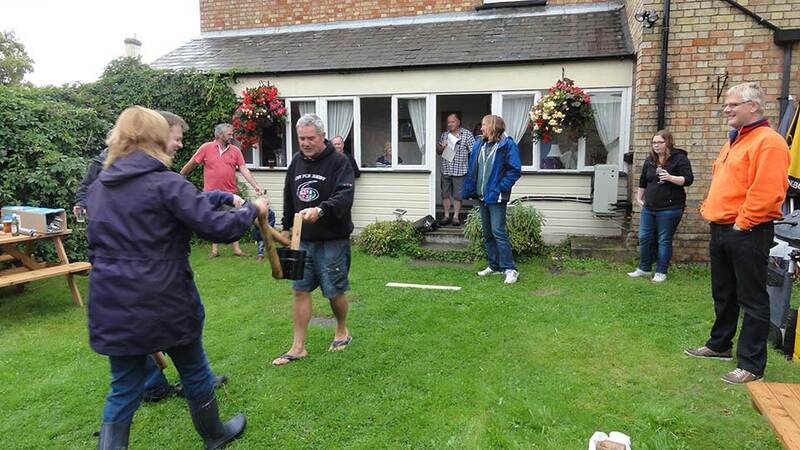 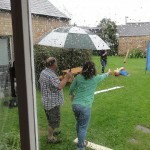 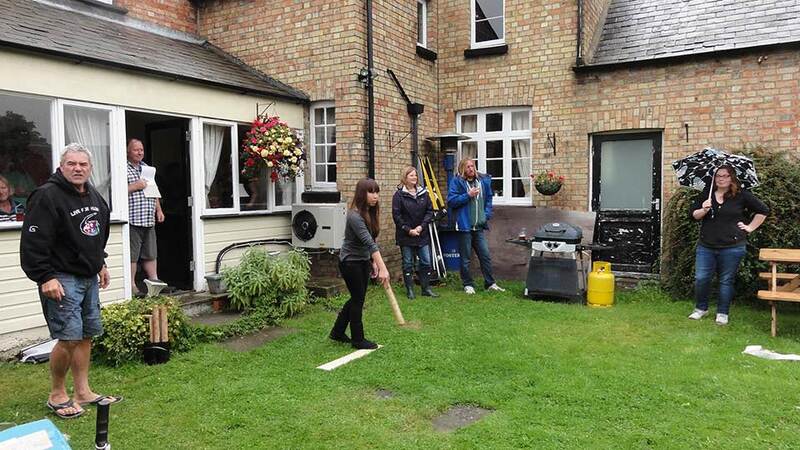 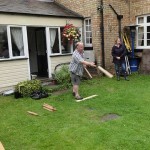 The weather didn’t deter us hardy villagers from turning out to join in the fun of playing the now traditional August Bank Holiday Monday game of Aunt Sally at The Fox & Hounds. 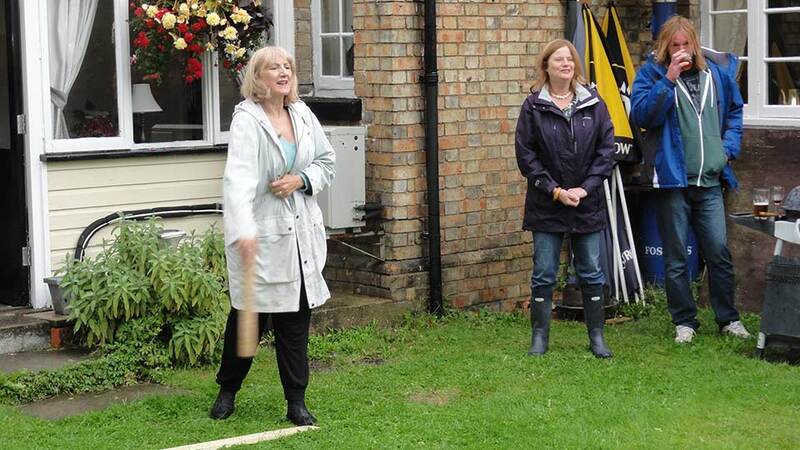 Contestants came in all ages (2 and upwards) and nationalities (Slovakian, Folksworthian to name just a couple) and the new pitch layout proved a great success as there were several ‘oooohhhhs’ and ‘aaaahhhhs’ as dolly legitimately hit the dust (soggy grass). 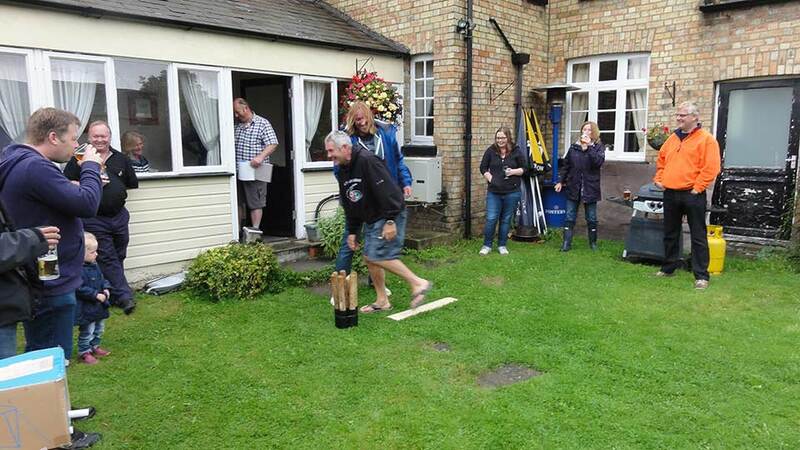 A hushed whisper went round the crowd when Michael produced his own set of ‘sticks’ from a shopping bag… but we soon realised they weren’t magic ones after all. 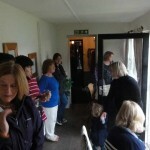 The mid-game break was a yummy feast as several people had been very busy making a variety of pies and sandwiches. 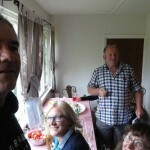 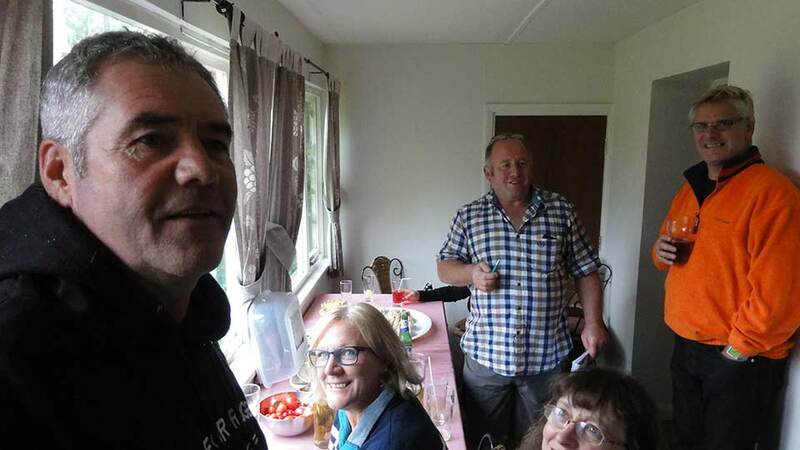 Lesley Alexander’s ‘Breakfast Pie’ with quails eggs and Julie Trolove’s Fidget pie were delicious – as I’m sure were all the other goodies on offer. 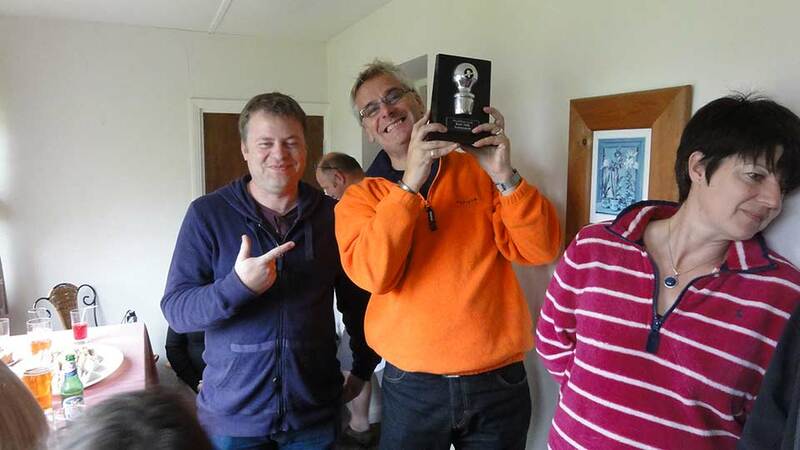 So, onto the final scores and I’m especially delighted to announce the winner of this year’s trophy is… da dah… Paul Crank! 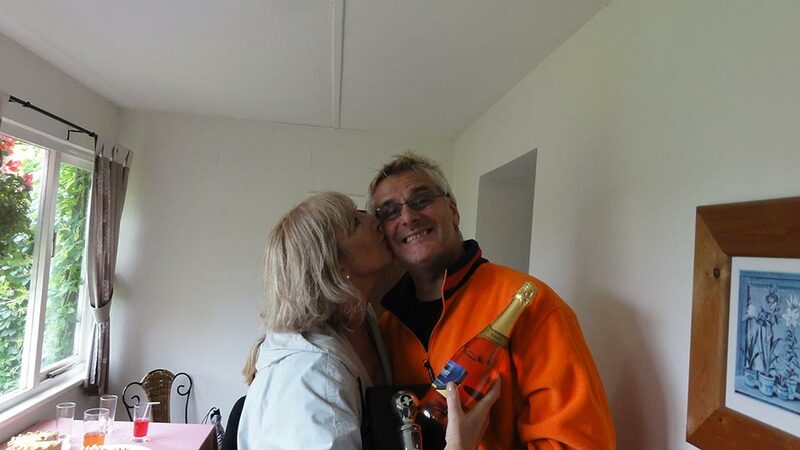 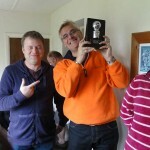 Paul also received the bottle of bubbly stuff and, as is customary, a kiss from the bubbly stuff sponsor’s wife. 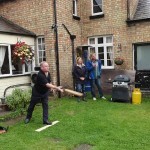 Thank you very much to Michael, The Fox & Hounds and all of the contributors to a great afternoon.